Dr. Eunha Hoh’s research interests focus on the investigation of diverse environmental pollutants in the environment and their impact on human health. Her current research projects focus on ocean and human health and environmental exposure to tobacco smoke residue (thirdhand smoke) and tobacco product waste. Chemicals of interest are known toxic organic pollutants such as persistent organic pollutants (POPs) and polycyclic aromatic hydrocarbons (PAHs), tobacco smoke residues (thirdhand smoke components) and waste components, as well as potentially toxic brominated/chlorinated flame retardants, their degradation products, and other emerging contaminants. Dr. Hoh developed a nontargeted analytical approach for detection of a broad range of organic chemicals in fish oil and marine mammal blubber samples using novel instrumentation. Using this approach, she discovered and identified previously unknown halogenated compounds including naturally occurring halogenated products and other contaminants in the fish oil and marine environment. She is working on further development of the nontargeted analytical approach and its application towards various types of samples for environment monitoring, food safety, and environmental exposure. Most of her work involves the application of chromatography and mass spectrometry. She is one of six PIs of the Scripps Center for Oceans and Human Health. She serves as PI of tobacco product waste project funded by TRDRP. Dr. Eunha Hoh is a Professor of Environmental Health at the School of Public Health. 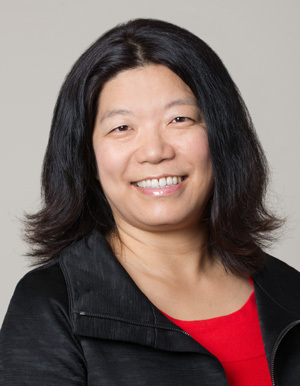 Dr. Hoh received her doctoral degree in Environmental Science in 2006, under the guidance of Distinguished Professor Ronald A. Hites at Indiana University. Her research focused on the fate and transport of organohalogen contaminants in the atmosphere and the investigation of previously unrecognized halogenated flame retardants in the environment. After her graduation, she worked as a postdoctoral researcher under supervision of Dr. Steve Lehotay in the field of food safety at the USDA Agricultural Research Service, Eastern Regional Research Center, located near Philadelphia, PA. She developed novel analytical methods which included fast and efficient analyses of multiple classes of targeted chemical residues, and a nontargeted analytical approach for organic compounds of interest in food and environmental samples. Prior to pursuing her degree in Environmental Science, she received a master’s degree in Chemistry at the Korea Advanced Institute of Science and Technology in South Korea and worked in industry.